LONDON, Jun 24 2015 (IPS) - The overwhelming majority of lobby meetings held by European Commissioners and their closest advisors are with representatives of corporate interests, according to an analysis published Jun. 24 by Transparency International (TI). Today’s assessment of the situation of lobbying in Brussels follows the publication in April of TI’s report on lobbying in Europe. That report analysed lobbying in 19 European countries and in the three European Union institutions and showed examples of undue influence on politics across the region and in Brussels. According to Tl’s new analysis, of the more than 4,300 lobby meetings declared by the top tier of European Commission officials between December 2014 and June 2015, more than 75 percent were with corporate lobbyists. Only 18 percent were with NGOs, four percent with think tanks and two percent with local authorities. Google, General Electric and Airbus were reported to be among the most active lobbyists at this level, and Google and General Electric were also said to some of the biggest spenders in Brussels, each declaring EU lobby budgets of around 3.5 million euros a year. Of the 7,908 organisations which have voluntarily registered in the EU Transparency Register – the register of European Union lobbyists – 4,879 seek to influence political decisions of the European Union on behalf of corporate interests. Exxon Mobil, Shell and Microsoft (all 4.5-5 million euros) are the top three companies in terms of lobby budgets, according to their declarations made to the Register. According to Transparency International EU, the portfolios for climate and energy (487 meetings), jobs and growth (398), digital economy (366) and financial markets (295) currently receive most attention from lobbyists. 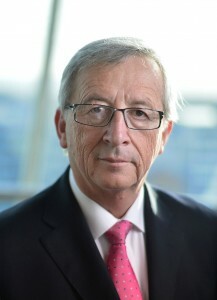 The Commissioners in charge of the latter three – Finland’s Jyrki Katainen, the United Kingdom’s Jonathan Hill and Germany’s Günther Oettinger – are reported to have particularly low numbers for meetings with civil society – three, three and two respectively, representing between four and eight percent of the total number of their declared meetings. While large global NGOs, such as World Wide Fund for Nature (WWF) and Greenpeace, are in the Top 10 of organisations with most meetings, TI said it was notable that meetings with civil society are often held as large roundtable events with multiple participants. The new data also reveals that 80 percent of the 7,821 organisations currently registered did not have a single meeting reported with a Commissioner or their teams, demonstrating the limitations of the European Commission’s new transparency provisions that only cover the highest ranking top one percent of E.U. officials and only 20 percent of the registered lobby organisations. Lower-level officials, such as the team negotiating the Transatlantic Trade and Investment Partnership (TTIP) between the European Union and the United States, are not covered. “The European Commission should be congratulated on providing this insight into lobbying of high-level officials, but this is just part of the picture,” said Carl Dolan, Director of Transparency International EU. “Officials are lobbied at all levels and greater transparency is required to reassure the public about the integrity of EU policy-making. Transparency International EU also found that many organisations still remain absent from the register. This includes 14 of the 20 biggest law-firms in the world that all have Brussels offices, such as Clifford Chance, White & Case or Sidley Austin. Eleven out of these 14 law firms have registered as lobby organisations in Washington DC, where registration is mandatory. “Much of the information that lobbyists voluntarily file with the lobby register is inaccurate, incomplete or outright meaningless,” said Freund, adding that over 60 percent of organisations that lobbied the European Commission on the EU-US trade agreement do not properly declare these activities. Further, on the broad reform package of financial services entitled ‘Capital Markets Union’, many banks – including HSBC, BNP Paribas and Lloyds – that have had meetings on this topic fail to declare in the lobby register that they are active in this area. The findings of EU Integrity Watch also reveal hundreds of completely meaningless declarations, with some organisations claiming to spend more than 100 million euros on E.U. lobbying or having tens of thousands of lobbyists at their disposal, showing the need for more systematic checks and verification by the Commission and ultimately a mandatory register. Recognising that the European Commission has started moving in the right direction, TI says that the measures introduced so far need to be extended to everyone involved in the decision-making process, including the European Parliament and Council.